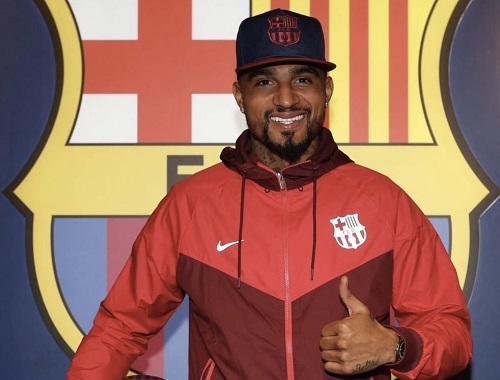 FC Barcelona announced today that Sassuolo forward Kevin-Prince Boateng will be the Blaugrana’s winter transfer signing as part of their strategy to reinforce the attack. The Ghana international is joining Barça on loan for €2 million euros until the end of the season with an €8m option to buy. Boateng, the brother of Germany and Bayern Munich defender Jerome Boateng, will be presented to the media on Tuesday morning. He is the first Ghanaian player ever signed by the club. It is possible that he could feature this Thursday during the Copa del Rey clash against Sevilla. Previous PostBarça battle Leganés to a 3-1 victory. Next PostBarça lose first leg 2-0 in Quarter-Finals Copa clash to Sevilla.